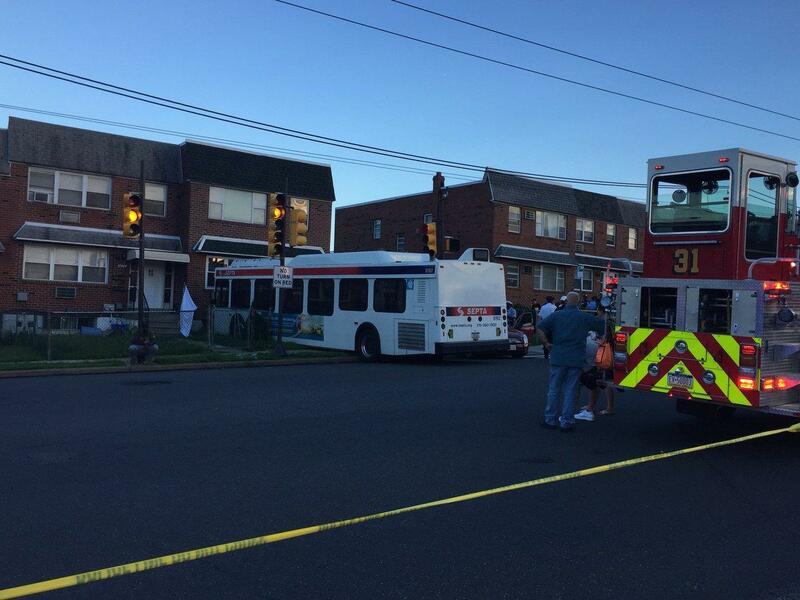 PHILADELPHIA — One person was killed and several others were injured after a Southeastern Pennsylvania Transportation Authority bus crashed into a home in Northeast Philadelphia on Thursday evening. Authorities are calling this a freak accident, CBS Philadelphia reports. Chaos erupted in Northeast Philadelphia on Thursday night at the intersection of Frankford and Morrell Avenues when a SEPTA bus ran a red light shortly after 6 p.m., hitting two cars, before crashing into a home, authorities say. "I heard a bang but I didn't think anything of it. My foster daughter screamed, 'Oh my God,' and naturally I looked and this is what I came out to," said Jennifer Hoepfl. Police say the bus — that had at least 10 passengers onboard — was traveling eastbound on Morrell Avenue and making a turn onto Frankford Avenue going southbound when it a white Lincoln. The woman driving that car then hit a red Ford Fusion that was going northbound on Frankford. Authorities say three people were sitting in front of the home with feet in a small wading pool when they were hit by the bus. Two people, a 21-year-old woman and a 28-year-old man, were taken to the hospital. A 53-year-old man died instantly. The two others on the lawn have been hospitalized, as well as the 49-year-old bus driver, the Philadelphia Inquirer reported. "It's a freak accident. Who knows what happened. It's stuck between two light poles," said neighbor Dee Smith. Detectives spent the early part of the evening looking through internal and external video from the bus. That video will provide the real story about what happened. "No one's ever going to think that a SEPTA bus is going to jump the curb and drive onto your front lawn, hit you as well as the house," said Philadelphia Police Chief Inspector Scott Small. Damage was suffered to the front of the home. Licenses and Inspections will be on scene to look at the physical integrity of the home, but that pales in comparison when a life was lost enjoying a summer day outside. "My heart hurts so bad. I just pray. I don't even know. It's so tragic. My heart hurts," said Hoepfl.